As reported earlier by LookToTheStars.org, a host of stars joined Larry King on CNN last night to encourage people to help the victims of the earthquake in Haiti. The broadcast raised over $5 million for UNICEF and the Red Cross. Famous faces such as Alyssa Milano, Mick Jagger, Ben Stiller, Ringo Starr, Colin Powell, John Mayer, Seal, Ryan Seacrest, Benicio del Toro, Tea Leoni, Scarlett Johansson, Christian Slater, Ashley Judd, Sarah Ferguson, Russell Simmons, P. Diddy, Kobe Bryant, Danny Glover, David Spade, Susan Sarandon, Nicole Richie, Benji Madden, Joel Madden, Jeff Probst, Molly Sims, Peter Wentz, will.i.am and many more took the chance to appear on the show. Each star took the time to speak about the disaster and appeal for donations. “What’s the difference between this crisis and maybe the tsunami?” asked Tea Leoni who appeared for UNICEF. "After the tsunami we were able to prevent the death of any child in the second wave of the disaster… We’re looking at a much more desperate situation, here. “Those people that are out there that can help, help; it’s important for humanity, for love, life… You have to help for America because we don’t have help,” added Black Eyed Peas singer will.i.am. A visibly shaken Molly Sims – who visited the country last year – fought back tears to add: "Words can’t even describe what I saw and I consider myself a very well-travelled person. It was absolute devastation. 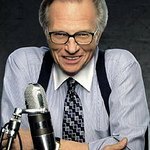 Larry King revealed that over 150,000 have died in the quake, and many more are homeless and face terrible conditions.